A nice build, even though I don't get why build so many Desktops and not build 2CPU & 4CPU workstations & Servers instead. Back to AMD Radeons for me, just nevr rwas too satisfied with NVIDIA Geforce, mainly when it comes to Image quality & Driver Quality, AMD was always the latter for me. All them 1CPU things, *ugh* they just seem so underpowered and too limited, they lack the server hardware parts I seek from such systems. Unless you have a YT channel like JaysTwoCentz and do reviews or something? Just curious. Left ya a +1 and a comment of course. I can build (Assemble) 2 Desktops for the price of one Server so I just buy Dell Servers. I am not much of a gamer as well but my Dark Titan need a refresh. For much less you can build a Quad Opteron 6380 and eat these i7 things for breakfast. Dell is expensive and over priced, no need for such over priced parts while you can get such parts for way less and still get more performance. Plus having superior protection against Meltdown & Specture to AMD's improved CPU Architecture, as that AMD CPU's have much less to no effect for Meltdown like Specter as well. Making Intel hardware far more unreliable mainly due to such major disadvantages. But then again if you have company relations to get you what you need then it's an other story all together. If there are builds for me to add? Post away, as I look forward to all of your new and latest creations! Any new builds for me to add in 2019? I hope so! Just added your system in the list and I also left it a +1 and a comment as I have done with all other 463 computer builds. +1 for all on this page of the topic + first post! Nice to see the MODS RIGS Site updated with the newer hardware. Yeah! Same here but myself I am not going to bother with the hassles and lack of support and condescending attitudes from some members on this Forum. Yeah that is pretty much it and also the main reason why I laid down from posting here, even though I sold 5 of my systems all the retro hardware, mainly loss of interest and the need for something else. 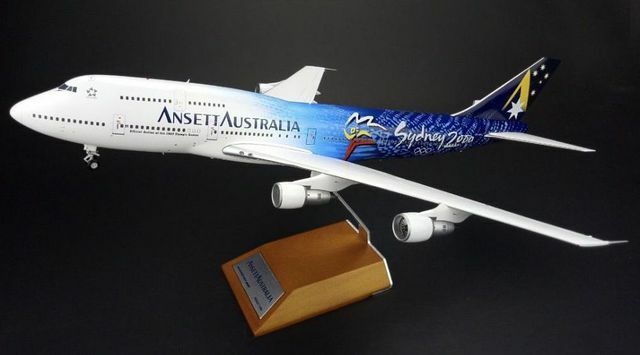 Which is collecting scale 1:200 diecast Boeing 747's is more my thing lately. All my GPU's are from Sapphire Nitro series lately, their image qualty output is much better than what me geForce cards could do, to me image quality is more importanthan speed, I rarely game either and the games I run all run fine @ 2560x1600p anyways. So as that goes I sold all my NV boards as well, AMD Radeon is more me and no more driver issues, all my motherboards are Supermicro now as well, after the 800+ VGA cards I had since 1996, I know what works for me and what does not, plenty of experience, yet i will always miss my Voodoo5 6000 and the GTX 295 RE system, ah well gotta move on ya know? And Quad SLI experiences were great on both as well, yet very similar basics as well, it was very interesting to work with and use. And really I don't mind n who has what as long everyone is happy with what they have like I am happy with what I have there should not be any issues. Yet the over supportive types, if they try to approach me, I just post hard facts from reliable resource, then they shut it automatically as they have nothing to defend them with. And I met far too many of such types here and not only here. At the DA.C Community it's all about aircraft modeling, new-gen types can be somewhat bold there as well so they are everywhere in the end. Sometimes you need to sell things to move on, even having regrets on selling somethings as well..
btw can you add a pc to modsrigs.com without evga products ? Of course just as long you have an EVGA MODS RIGS page for it.